Our dogs have a very friendly nature, are very affectionate and that means ofcourse they are also very healthy. The markings are silver and black, the heads have very good markings, which also means they have spectacles! As I said before: "They are bred with thought, reared with love and shown with pride!! Why did we choose the prefix "Suitkees"? Because of the pronounciation, Kees in Dutch is pronounced as "case" as in Suitcase - a travelingbag-. We look for a name as the puppie behaves, preferable in Dutch, as it is wellknown as a "Dutch Breed". A Keeshond likes to be part of the family, he knows it's place in the ruddle, he will always come last, specially if there are kids in the family, but he doesn't want to be locked out. He is a Compagnion Dog. He is very active and therefore a great children's friend. And he is a great believer in regularity. 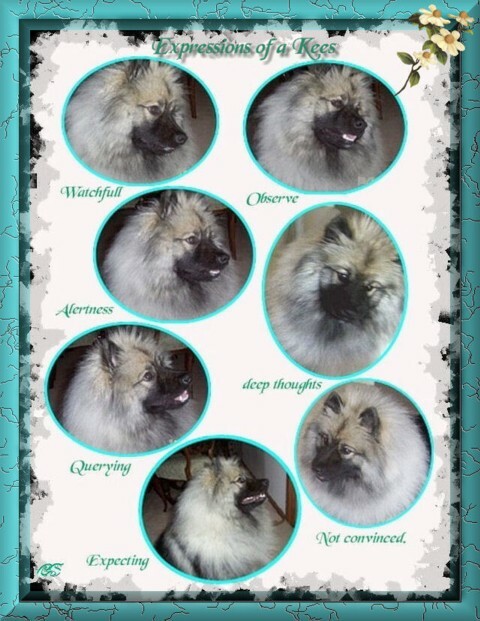 As this breed - The Keeshond - is never bred to hunt or to kill, they will never attack. The Kees needs grooming, not a lot, but at least 3 times a week. A proper coat should be somewhat harsh and outstanding and therefore shouldn't knot. In the warm summerweather, a good brushing is appreciated by the dogs. After swimming they should be rinsed with clean water and brushed till dry. The coat acts as insulation in hot weather. Therefore it is cruel to shave, they will feel the heat so much more. A Keeshond is like a cat, he likes to immitate, that's why he learns quickly from kids. They are also very smart and know how to get your attention. But they also like to please you, so the normal obedience is quickly accepted, although sometimes you have to be firm. 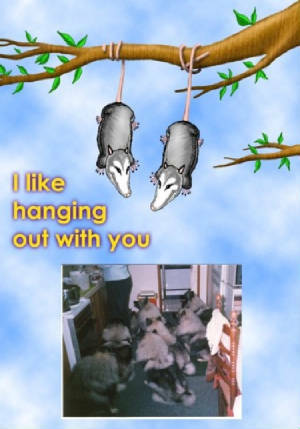 If your kees has done something you don't like, let hem know by ignoring him, and turn your back on him for a while, they really hate that and it's the same for them as being "hang out to dry".